Notes on a Party: Here's My Card, Call Me! In my industry, every social occasion is an opportunity to sign new business. You have as much of a chance to make an impression on a potential client at a cocktail party as in a boardroom. As a result, "working the room" can sometimes feel like a military mission of reconnaissance. And, the intel? A stack of business cards exchanged and collected over the course of a night of networking. Recently, I discovered a design studio on Wall Street called Mr. Boddington's Studio that takes its inspiration from old world values. 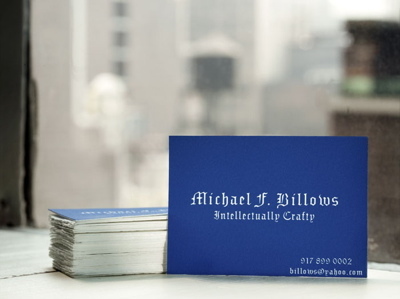 They offer custom made calling cards - those indispensable tools of etiquette that first appeared in 15th century China and later in aristocratic 17th century Europe. Calling cards, or visiting cards, were an essential accessory to upper-middle class ladies and gentlemen back in the day. They served as announcements of VIP arrivals to prospective hosts as well as tangible evidence of social and business meetings. And, the cards spoke volumes about the person who used them. 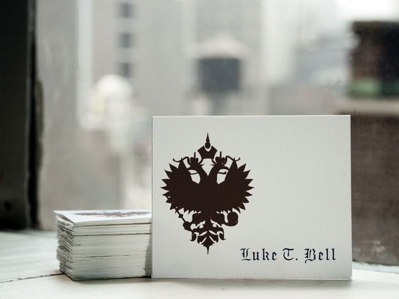 Traditionally, calling cards were engraved with ornaments or boasted a fantastic family coats of arms to leave a lasting and distinct impression of one' identity. 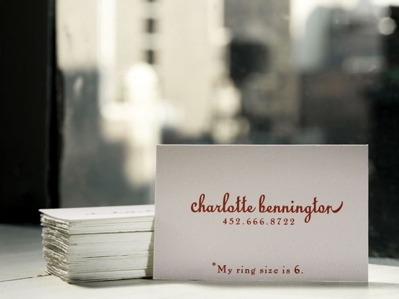 Today, calling cards can feature everything from classic monograms to clever taglines that hint at certain personality traits or aim to be memorable. Mr. Boddington's Studio will take a personal commission and create letterpressed or flat printed cards using Somerset or Hahnmuhle paper (pricing estimated at $200 for 400 flat or $400 for 400 letterpressed). 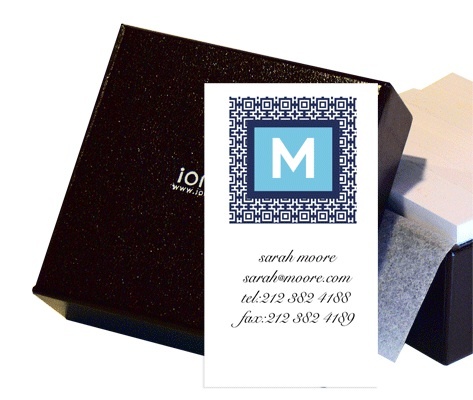 IOMOI, the online stationery company, also offers calling cards with a variety of styles, colors, monograms and emblems to match any personality. A box of 100 cards, printed on bright white paper stock, retails for $108. Tell Us! What would your personal calling card say? A seasoned event planner, Celia Chen is the Founder and Editor-in-Chief of Notes on a Party, an online magazine about entertaining that celebrates Events from the Inside Out™. For a behind-the-scenes look at VIP events and tips on party planning, visit http://www.notesonaparty.com.